My beret, it is done! 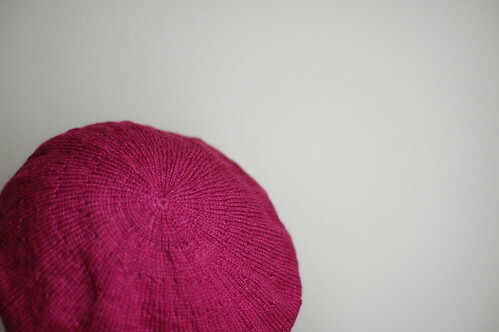 I did about 4 inches of straight stockinette after the hat increases for a medium-slouchy hat. When I saw this laceweight at Rhinebeck I knew it’d be a great match for some Koigu I had in the stash! 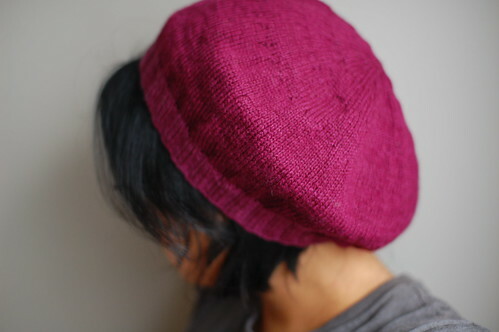 The ribbed brim in wool gives the edge some stability (so it won’t fall off) but the body of the hat is nice and drapey and light thanks to the merino/silk. This hat took me about 5 days – I started on Friday and finished off last night. I love the finer gauge for a lighter hat. 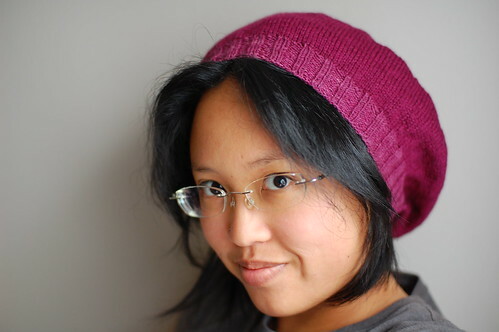 The slouchy beret is one of very few types of hat that looks good on me so I need to add some new ones for this winter! And I love concentric circle decreases. 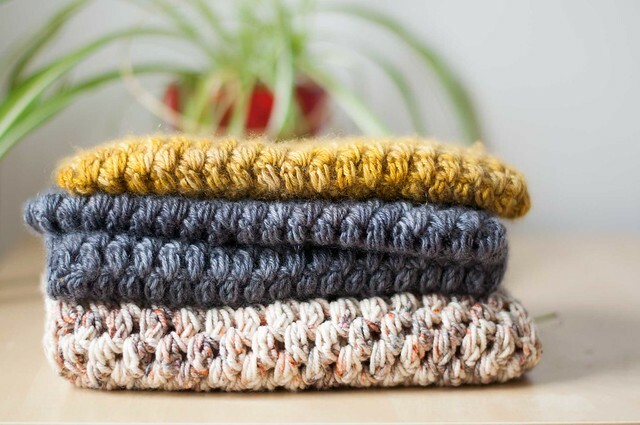 That’s a really clever way to mix different yarns! I really like the hat. How do you get it to stay on when you wear it back on your head like that. I just knit the Modern Selbu and have problems with it slipping off. Love the colour, and the decreases are very clever! Looks so nice on you too. It looks gorgeous on you and the colors are super duper close. Well done. Will you be publishing this pattern? I would love to make myself one! Wow, I love that hat!!! I’d love a pattern!!! That is fast by my standards! I love it! The colors go really well together, and really pop against your dark hair. It’s just as beautiful as I thought it would be. Love the mixing of the yarns too. They work perfectly together. Beautiful color and design. I love the decreases! I love the two tones of raspberry, mmmm good enough to eat! Gorgeous. Thats a hat you could wear all year round. Love this hat. Really suits you and the yarn looks yummy. I love the way you mixed the yarns! 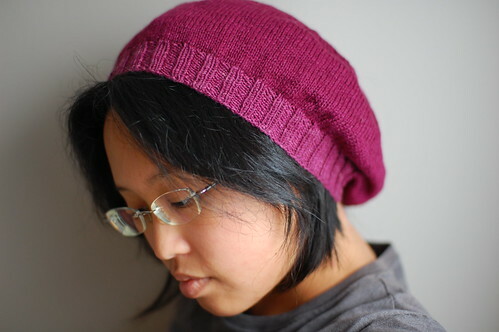 I don’t think I can really pull off the slouchy hats, but they look great on you.